Those of you who know me in real life may know that I really like jewelry. You may or may not also know that I often use jewelry to mark significant moments in my life, to communicate certain messages, and to remind myself of things or serve as touchstones. For the last couple of days, I made sure to put on three significant necklaces and the order of the necklaces told a story. 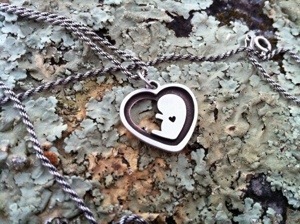 The first was my baby-in-my-heart pendant. 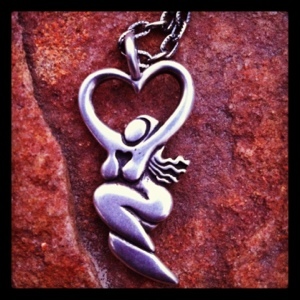 Unfortunately no longer available for sale anywhere, I very much connected to this pendant and bought it as a connection to the baby in my own heart. I used to even sleep and shower wearing it and wore it continuously until midway through my pregnancy-after-loss in which I then felt like putting it away. Now, I wear it on certain meaningful occasions like on Noah’s birthday or on holidays. 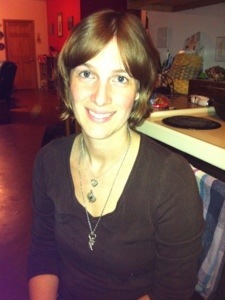 The second is a pendant I bought right after my second miscarriage. 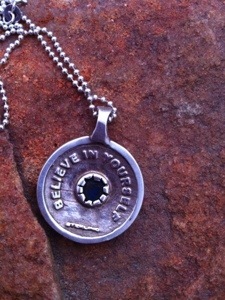 It is a small medallion style piece with the words, “believe in yourself” on the back. I wore it throughout my pregnancy with Alaina, including in labor. Now, I wear it when I need encouragement, courage, or strength. I have a tradition of wearing it to the first night of every class I teach. It serves as a reminder for me and helps me feel strong. 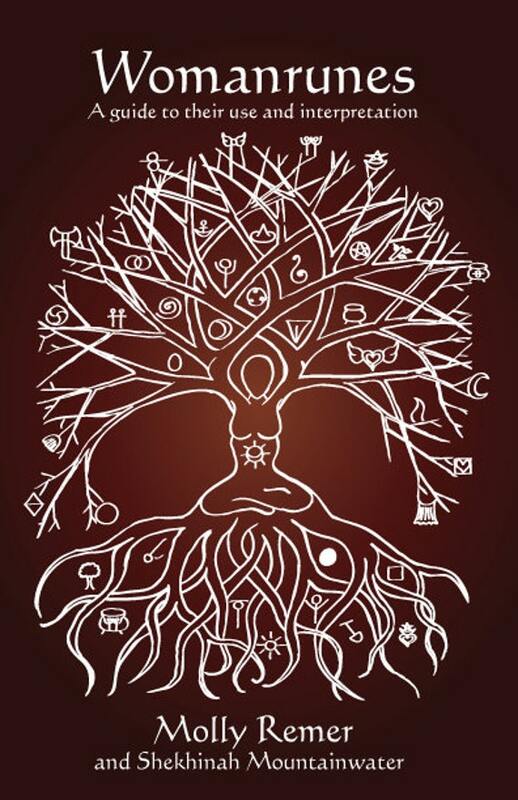 The third pendant is the dancing goddess logo from SageWoman magazine. My husband gave it to me after Alaina was born in 2011. It reminds me of my Happy Birth Dance feelings of relief and joy at her birth. I still wear this one almost every day. Together, obviously, the three in a row tell a story of loss, hope, and joy. Lann took this picture of me a couple of days ago on Nov. 6, the third anniversary of the day we found out the baby had died and I was going to have a miscarriage. 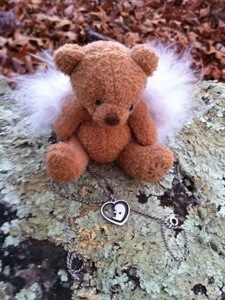 Noah’s angel bear and my necklace on the priestess rocks yesterday afternoon. 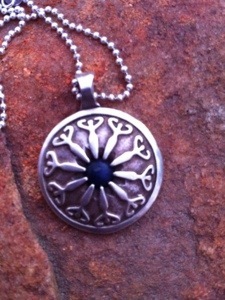 Do you have jewelry that is especially significant to you? Do you wear it when you need to tell the world something or remind yourself of an important moment or experience? I’d love to see a picture of it! 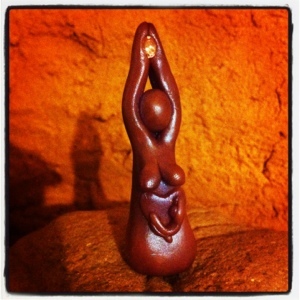 I also felt inspired to quickly make a new birth art figure—this one incorporating the “baby in my heart” image that I found so valuable. And, it also connects to the persistent feeling I had for months after he was born (until I reached his due date really) that I was going to be, “a little bit pregnant” with him forever. The bracelet that was made for me from all the beads I received at my blessingway with my second pregnancy I wear on days that I feel the need to be surrounded with the strength of my women friends. It helps me to remind myself that I can slow down and need to slow down and just be. The kids like asking me about it and Brynnja likes to play with it when I wear it. I have the same fetus in heart pendant. Bought it a few years ago and so grateful I did, as I haven’t seen anything like it since.